There is more than one band called Mephistopheles. First is a Technical Jazz Influenced Death Metal band from Tasmania, Australia., second, a japanese disbanded thrash metal band and thirdly, is a german black metal outfit! Mephistopheles are a Technical Jazz Influenced Death Metal band formed in Tasmania, Australia. They released thier debut album Ascension Aborted in 2006. Mephistopheles was in the 80's also a Thrash Metal Band from Japan. 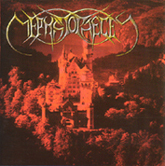 1994 - Mephistopheles was also formed by Xenien (Guitars), Nordischer Kuenstler (Vocals & Synthesizers) and Ineb (Guitars) to create a mixture of brutal and melodic Black-Metal. They used a drum-computer for their Live-Gigs and Rehearsal Tapes. In december 1994, Selphratus, who played with Xenien in "Quast" before, joined the band as drummer. Thus, the band was now able to perform Gigs without the "help" of a drum-computer, writing songs became more efficient. 1995 - Some time later, Ineb decided to leave the band, as his musical inspirations were no longer represented by the music created by Mephistopheles. 1996 - Due to the lack of musicians, the band was not able to play live. So they used the time to write songs for a demo-tape. As Xenien was the only guitarist left, he played all guitars and bass-guitars on this recording. With this first and only released demo-tape, Mephistopheles were able to get a record deal. Unfortunately, the label decided to simply take the demo-recordings and release them as the known debut-album "Landscape Symphonies" in 1997. 1997 - Mephistopheles now needed musicians to be able to play live again, so they recruited Friirr and Ferun, Bassist and Guitarist of "The Prophecy" in late 1997. They left the band only few months later, as it took too much time to learn the songs while concentrating on writing stuff for a new album. They chose to focus their skills only on "The Prophecy" again. 1998 - Unable to play live again, Mephistopheles continued looking for musicians. It happened that Jury Kowalczyk, guitarist of "Agares", left his band to reach new goals as musician. He joined Mephistopheles in April 1998, to put a more agressive style of music into the songs. In September 1998, Garvin Boesch, like Selphratus a member of "Quast" before, joined the band as bassist. Mephistopheles now seemed to have a steady Line-Up, which created the songs for the following Album "Songs Of The Desolate Ones". With time, a lack grew between Nordischer Kuenstler and the rest of Mephistopheles. The only solution was to part even before the recordings began. During this time, Mephistopheles decided to no longer hide behind corpsepaint and pseudonyms, to leave behind the clichees of a Black-Metal-Band. Founding Member Xenien turned to Hanno Weihe, only Selphratus still uses a pseydonym. 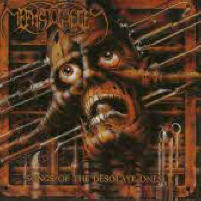 "Songs Of The Desolate Ones" was released in 1999. 1999 - Having lost the Vocalist and Keyboarder, Mephistopheles started again looking for musicians. Right before the release of "Songs Of The Desolate Ones", Eike-C. Kroeger, vocalist of "Agares", joined in. He was soon able to put his aggressive style of singing and his conceptional lyrics into the songs. 2000 - A session musician was found in early 2000 for the synthesizers. Mephistopheles played several gigs with this Line-Up, but mainly concentrated on writing material for a new album. The songs created in this time became faster and more agressive, filled with hate and darkness, without losing the bombastic touch. 2001 - Some weeks before the recordings began, Mephistopheles decided to part from the session musician. The Synthesizers on "Modern Instinct's Purity" were played by Bernd Ammermann from "Mandrake", Garvin Boesch and Christoph Greger, who joined Mephistopheles in July 2001, while the band was in studio. Mephistopheles are proud to present a Line-Up consisting of individuals, that only together create the incredible music filled with pure emotions, devastating hate and infinite beauty. 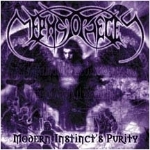 Modern Instinct's Purity was released november 2001. 2002 - Mephistopheles signed at Remedy Records after having had a lot of trouble with their former label Last Episode. Knowing that things will change and hoping for a better future for the band strongly influenced the feeling of the songs written for Death Unveiled. Only 10 months after the release of Modern Instinct's Purity the recording session was finished. Mephistopheles banned their souls into Death Unveiled, granting the listener a view into their hearts to show new aspects of their emotions and new possibilities to deal with them. 2003 - Death Unveiled marks the end of a chapter in the evolution of Mephistopheles, they feel that new limits have to be destroyed and new ways to be explored. 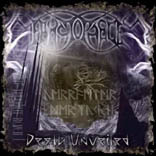 Death Unveiled was released in February 2003.